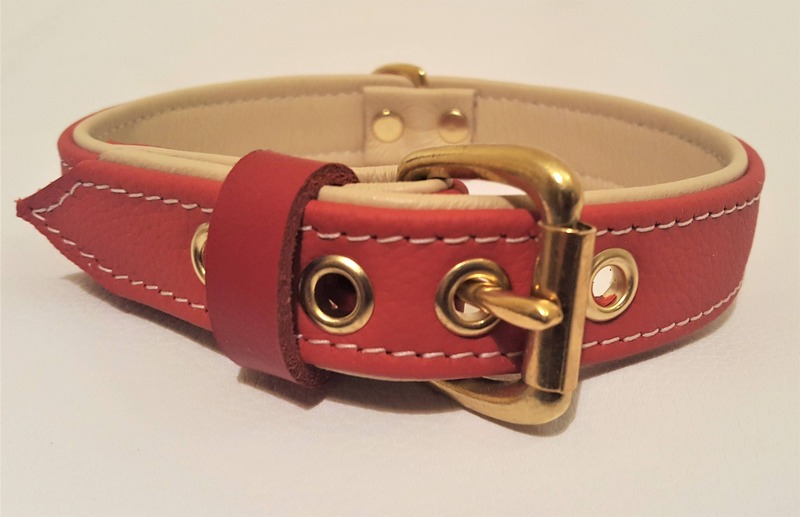 Red on Cream leather dog collar with solid brass hardware and cream stitching. 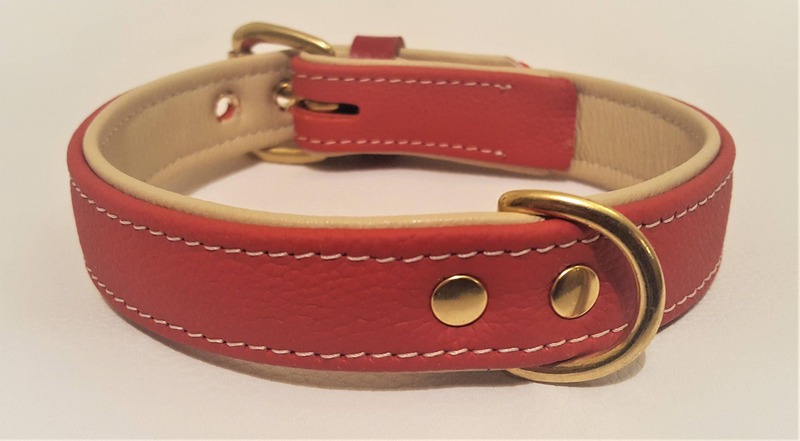 Here we have our hand crafted simple yet stylish quality Red and Cream leather dog collar with solid brass hardware and cream stitching. I asked for a bespoke 22 inch collar and matching lead for my chocolate Labrador got it today and it’s great! I can’t thank them enough would highly recommended especially for bespoke orders! Absolutely beautiful, soft leather and gorgeous colours - fits me perfectly!